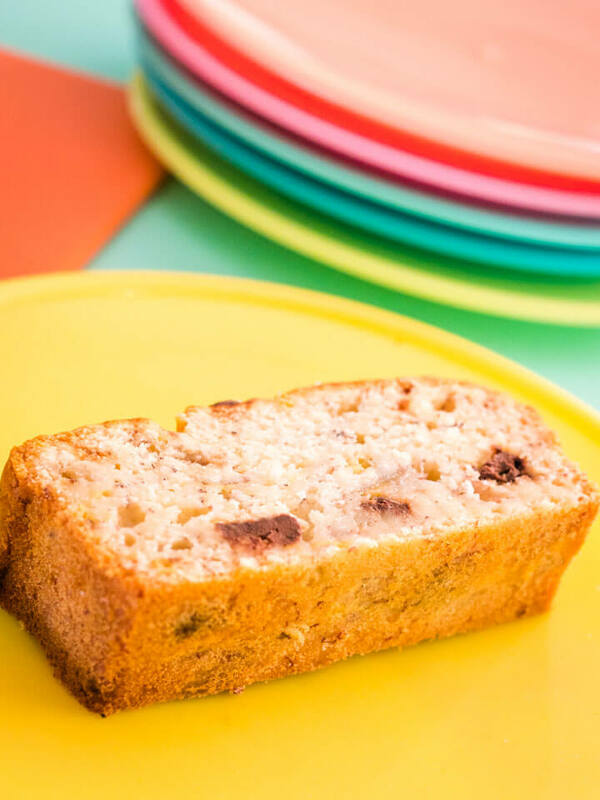 Combine two of my kids favourite things: choc chips and banana bread and make choc chip banana bread! It’s quick and easy to make with the kids. In the usual style of my “breads” this is a mix in one bowl, dump in the loaf pan and stuff in the oven kind of bake. I find these are the most satisfying and the least time consuming. A lot of people think the easiest things to make for lunchboxes are muffins and other single serve items but in all honesty, I find the loaf to be the most versatile. 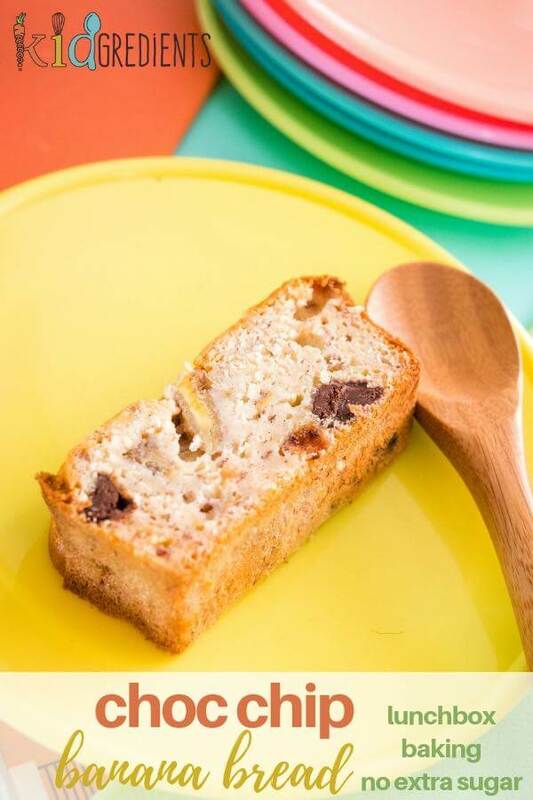 Take this choc chip banana bread for example. It’s easy to make and it is perfect for stocking up the freezer. I freeze loaves whole for taking to peoples places or for play dates and I freeze it in slices for lunchboxes. The other benefit of a loaf over muffins is that you can also toast slices. 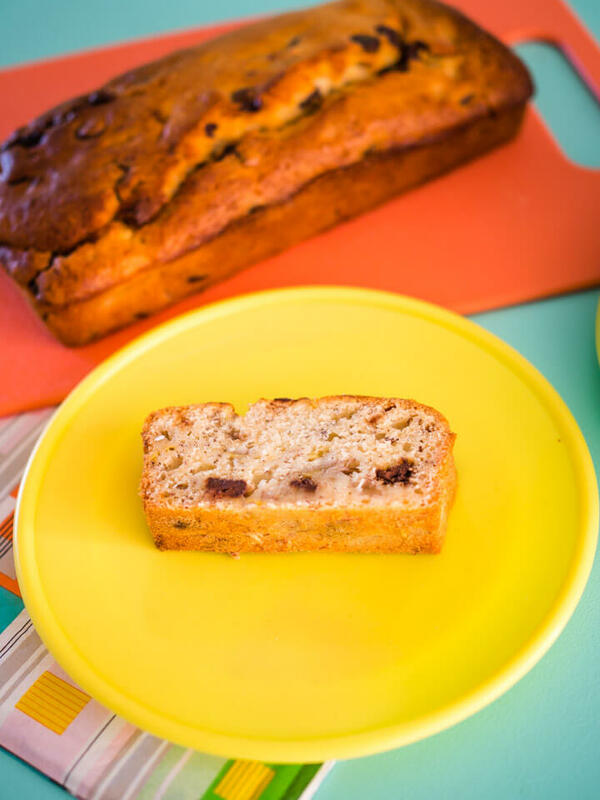 That’s my favourite way of eating things like this choc chip banana bread. I’m converted- what other loaves are there on kidgredients? Choc chips in the lunchbox? I always use dark chocolate chips, because they contain much lower sugar, in fact the ones I use are a minimum cocoa mass of 54.5%. 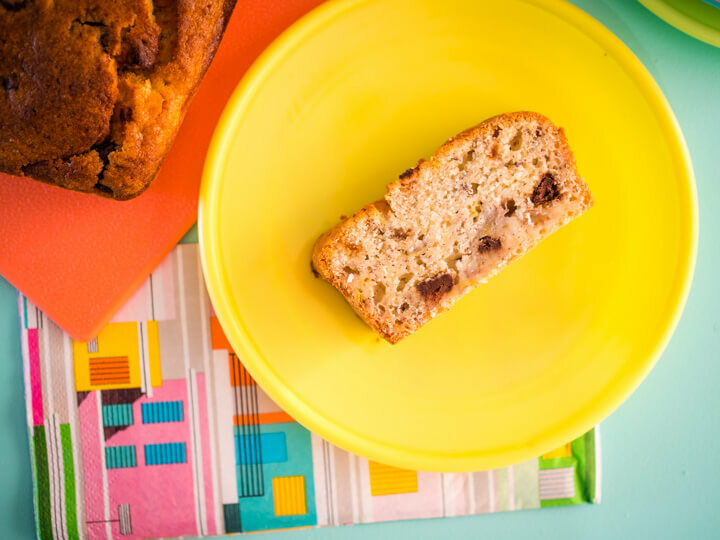 And when you don’t add any extra sugar to the banana bread, it doesn’t make for a very unhealthy treat. In fact, if you’ve seen my lunchboxes (check them out on Instagram) then you’ll know that the majority of what my kids eat in their lunchboxes is healthy fruit and veggies. 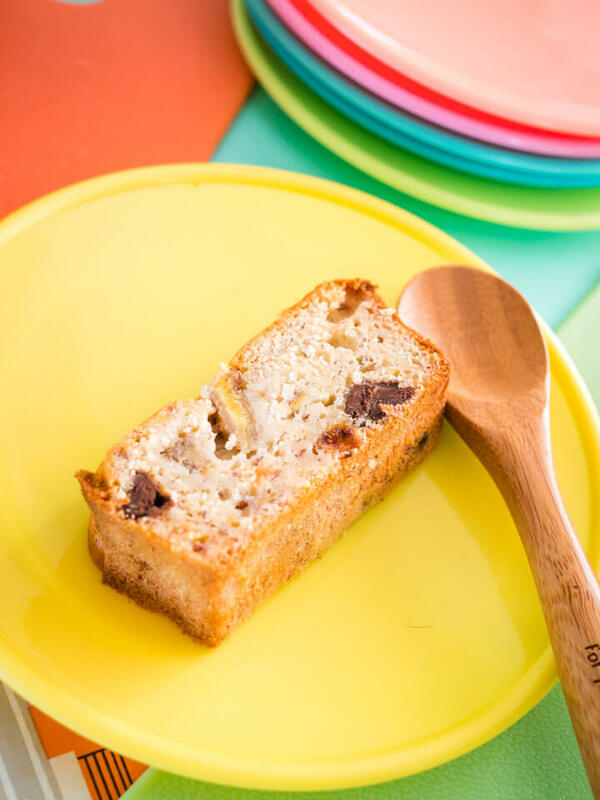 This choc chip banana bread is also perfect for afternoon tea. Great for that pick me up in the car between school and after school activities. And awesome for a mid morning mum snack. Choc chip banana bread with no added extra refined sugar. Super yummy, easy make and freezer friendly. Great for the lunchbox! Add the eggs, milk, flour, vanilla and oil. Stir through the choc chips. Divide the batter between two loaf pans. Freeze in slices, or whole. Using self rising flour is a great idea! 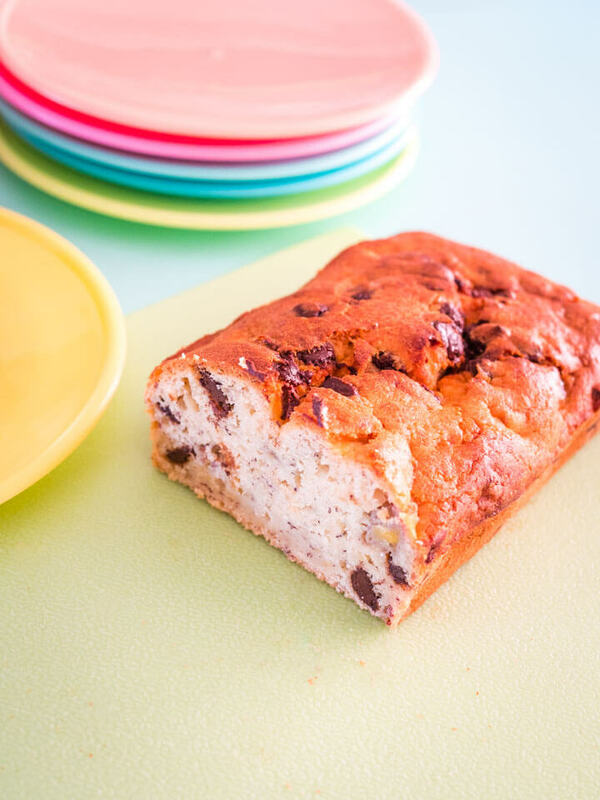 The addition of chocolate chips takes it over the top! YUM! I just had breakfast and I’m hungry again! Oh sorry Shashi! You’ll just have to make some! 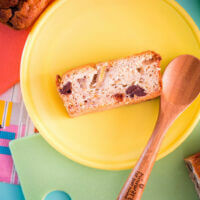 I love the idea of a healthier quick bread. If I could eat this for lunch every day I’d be a happy girl! Yes, you would be! Yum yum! An interesting recipe for bread. So pretty! Good idea! Looks very tasty! I am going to make this! This recipe really impresses! I really like! Thank you. Thanks Mary, it makes for a good treat! 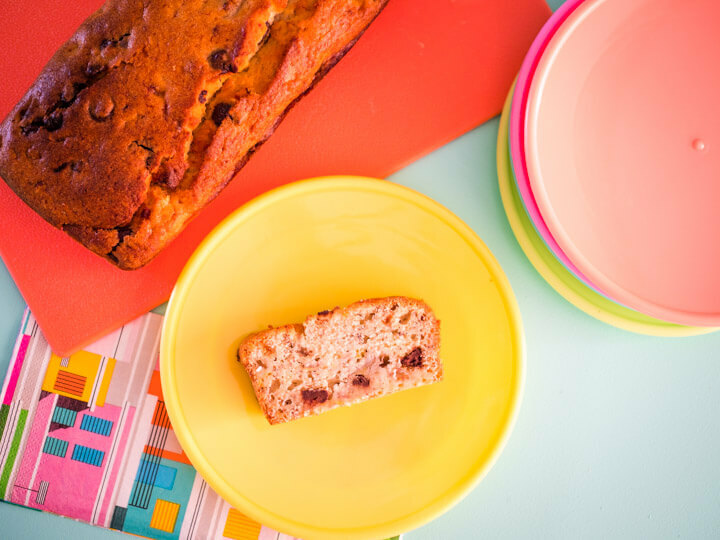 We love making banana bread for an afternoon treat. It freezes really well too. 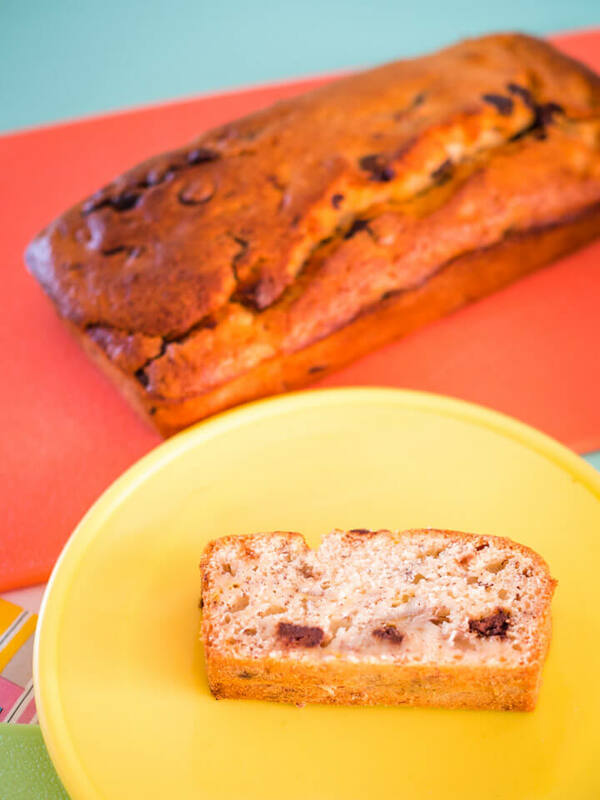 This is a perfect Banana bread, it Looks great!